Armed with the information she needed to turn her dreams into reality, Sumeyra immersed herself in nanotechnology. She read countless papers, talked to her professors in Yeditepe University, and eventually reached out to her current PI, Professor Kotov. He invited her to travel from her home in Turkey to his lab here at the University of Michigan to work with him for 3 months. “I remember every detail like it was yesterday, I had such a great time here.” Sumeyra’s eyes light up when she talks about her work, and her smile is contagious. Now Sumeyra has completed both her Master’s degree and her qualifying exam, and is the proud mother of two-year-old Talha. Every day she expertly structures her time so that she can efficiently complete her experiments in time to pick him up from daycare, just 6 minutes away from her lab. Talha loves animals, especially feeding the squirrels. “I taught him sign language so that he could communicate with us from 9 months old,” Sumeyra smiles, tapping her knuckles together in the sign for squirrel—one of her son’s favorite signs. “It made him calmer, because he’s able to tell us what he wants.” In her spare time when she’s not playing with her son, Sumeyra enjoys swimming, pilates, being in nature, or relaxing her mind with a good book. She especially loves reading about child development, picking up tricks on encouraging healthy eating habits, potty training techniques, and child psychology. I’m not sure how she finds the time, but Sumeyra is an active member of the University of Michigan community. Last year she served as an Outreach Co-Chair for the Graduate Rackham International (GRIN) student organization, where she helped organize events such as an outing to the Trampoline Park, the Graduate Student Appreciation Week with Rackham Student Government, and movie nights. This year she is looking forward to serving as GRIN’s Professional Development Co-Chair. She is also an active member of Society for Biomaterials (SFB) Univeristy of Michigan Student Chapter and is currently helping to organize SFB Day, which will be hosted here at UM next fall. Last fall she served as the Engineering in Biological Systems Session Chair for the UM Engineering Graduate Symposium and earned 1st place for her research poster in the Tissue, Cellular, and Biomolecular Engineering Session. She is also an active member of GradSWE, and has especially enjoyed the Female Faculty Mixers, where she picked up useful tips on writing amidst a busy schedule. As Sumeyra adeptly manages her work-life balancing act, she is grateful for her PI’s kindness and understanding, and most of all for the loving support of her family, whom she Skypes with every night over dinner. Once she and her husband complete their doctoral studies, they will return to Turkey to be professors as part of their scholarship contract. She will be faculty at Bursa Technical University, in a town outside of Istanbul that she describes as somewhat like Ann Arbor. There, Sumeyra hopes to establish collaborations between Turkey and the United States to continue her work in nanotechnology. As the medical field advances and gene therapy inches ever closer, Sumeyra’s work may well play an integral part in effective gene therapy delivery. One thing is clear: Sumeyra’s relentless passion is an inspiration, and we are proud to have her as an outstanding member of the GradSWE community. When you think of our GradSWE community, who comes to mind? Nominate them for the GradSWE Member Spotlight here! Thank you GradSWE members for all your support over the past year! We have had a tremendously successful year and are glad you were apart of it. Over the past year GradSWE has hosted over 44 events and have had over 300 members attend at least one of these events! A big shout out to our sponsors — the Office of Graduate Education, the Office of Student Affairs, and the Women in Science and Engineering (WISE) Office — without your support all of this wouldn’t have been possible! We started off the year strong with our annual Welcome Dinner. This event has been growing every year, and this year we had a record of over 100 attendees! With primarily first year students in attendance, the Co-Directors gave an overview of GradSWE while everyone enjoyed a meal from Noodles and Company. The year ended with a painting party with painting instruction provided by Paint & Pour. Forty GradSWE members tried their hands at painting a Michigan themed masterpiece. And during breaks we helped ourselves to a delicious spread of fruit, charcuterie, cheese, and cookies. It was a great end to the academic year. Gender equality in the workplace was a big focus of professional development this year. Therefore, in addition to our traditional finance, computer/writing skills, and public speaking workshops, we collaborated with the Center for Entrepreneurship on a “Real Talk: Gender Equality in the Workplace” series. Our goal was to engage graduate students in conversations on real and difficult issues that many of us are currently facing or may face in future careers, and arm students with strategies to promote a more supportive work environment. Additionally, we partnered with the Office of Conflict Resolution to develop a monthly support group for graduate students as a safe space to discuss conflict, and learn effective strategies for resolving conflict. Our Public Speaking Series received great response from the student community. The first talk ‘The secrets to giving a good scientific talk’ was given in the department of Climate and Space Sciences and Engineering by Dr. Aaron Ridley and Dr. Mike Liemohn. This talk focused on the ways one can improve a scientific talk visually as well as the orally. The second talk ‘How to give the Talk of a Lifetime’ by Dr. Anne Curzan, Associate Dean for Humanities, a TED speaker and influencer also received tremendous response. At the end of the year, we also collaborated with GRIN, WISE, MiLEAD in a Dining Etiquette Workshop, ‘The Art of Business Dining’ by Mr. Keith Soster, Director of Student Engagement for Michigan Dining. This year the Networking co-officers organized a series of three lunches for female faculty members to mentor graduate students at small table discussions. The lunches were held in the summer, fall, and winter, and 50-80 students and professors attended each lunch. Tables were assigned topics relevant to graduate students such as publishing, mentoring, time management, finding postdocs etc. The professors at these tables mentored students about their specific table topic. Attendees said that they enjoyed interacting with women from fields other than their own, and that they liked meeting students and faculty in a friendly environment. This new style of luncheon was a success and we look forward to continue engaging with faculty members next year. Last summer, we enjoyed kayaking down the Huron River, as well as a 3rd of July picnic at Fuller Park. In the fall, we found our way through a corn maze, and picked apples at Wasem’s Orchard. Back on campus, we also celebrated fall with two social hours with donuts and apple cider. To end the fall semester, we had a holiday party, where we made wreaths, hot cocoa mix, and gingerbread houses. During the winter, we enjoyed an afternoon of skating at Buhr park. We ended the semester with a painting party, and during finals week we destressed during a yoga + yogurt event with undergrad SWE. In the fall semester, GradSWE held a reception for company representatives and masters and PhD students to informally network the night prior to the SWE/TBP Career Fair. There were 17 companies represented and over 300 students in attendance. The reception provided a more relaxed atmosphere for students and corporate representatives to interact and network without resumes prior to the start of the career fair. On March 10-12, our SWE section hosted the Region H Conference. GradSWE members both attended the conference and planned some of the sessions. Grad student specific sessions included “Grad School Funding Workshop,” “ Finding a Research Position as a Student,” and “Life as an Academic: the 5 W’s”. We were also involved in “Grad School Admissions Workshop,” “Which is Right for Me? Grad School or Industry?” and “Grad Student Panel”. GradSWE also partially sponsored 12 graduate students to attend the conference. Great job everyone! In August 2016, four GradSWE students and five undergraduate SWE members traveled to Liberia and facilitated a 2 week residential leadership camp for undergraduate Liberian female students studying engineering from 3 Liberian universities. The camp focused on professional, academic, and student organization development. The style of the camp was primarily workshops, lectures, and hands-on engineering activities, developed and led by GradSWE members. The camp ended with a successful networking dinner that drew in over 70 attendees – both LSWE students and local engineers and educators. GradSWE members served as facilitators and leaders of the camp and developed the entire curriculum of the camp. UM SWE offered guidance and support in establishing LSWE as an official organization at the Liberian universities and are continuing working towards registering LSWE as an official SWE affiliate. 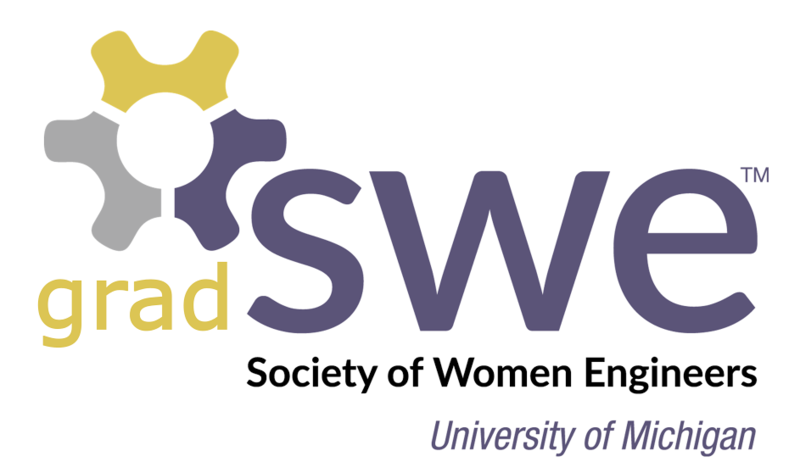 Six LSWE students visited Ann Arbor in the fall hosted by UM SWE members and attended the society level SWE conference hosted in Philadelphia in October, 2016.